Ah the beginning of summer… a time to finally get outside, only to realize the havoc winter hibernation has wrought on your previously shapely body! If you’re like many, this is a time when you’ve finally decided to drag yourself off the couch and get back into shape with some running. Or maybe you’ve been running for a while and have decided to kick up your training intensity for the big race (you overachiever, you). You’ve run hard, but your shins start burning somethin’ fierce, stopping you in your tracks. Why do your legs decide to rebel just as you’re starting something so good for them? What are those blasted shin splints and more importantly, HOW can you get rid of them and get back to running (not to mention the rest of life) ASAP??? 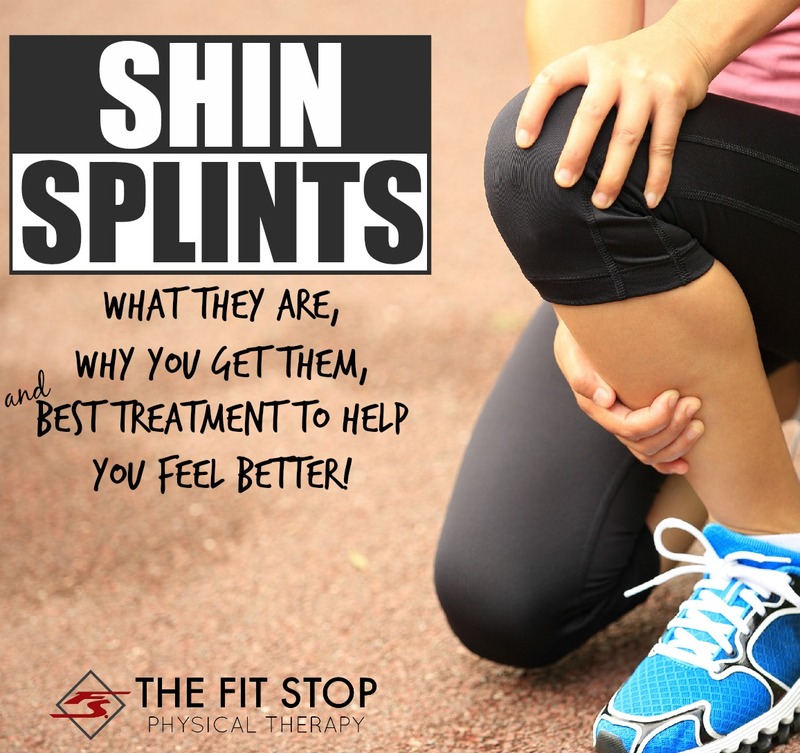 “Shin splints” are most often an overuse injury occurring on the inside or front part of your tibia (shin bone) and surrounding muscles. They feel like a deep burning or ache along the bone that gets worse with activity. 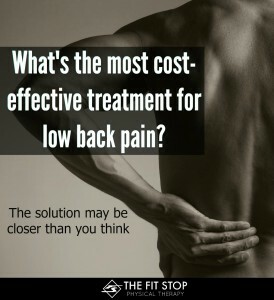 The pain can be due to a number of issues including muscle inflammation that builds pressure against the surrounding fascia (connective tissue). 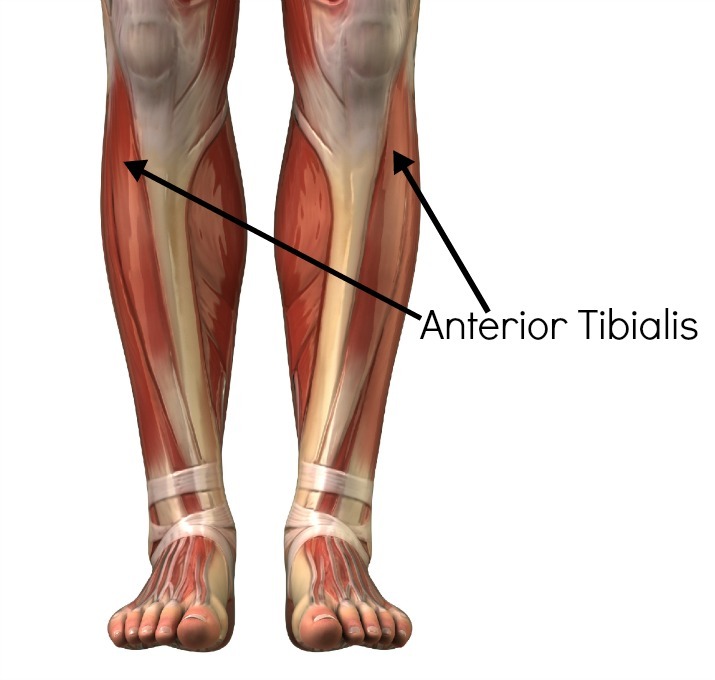 The muscle at fault is the anterior tibialis, which is responsible for lifting up your foot as if you were taking it off the gas. It turns out this is a pretty vital movement for running that prevents the stubbing of toes every stride. You can understand then, how often you’re firing up that muscle during a run! The stress on it gets worse the tighter your calves are too. 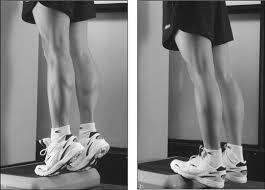 A tight calf will tend to pull your foot down, causing greater strain on your “shin muscles”. Imagine shaking up a soda. As the pressure inside builds, extra stress is placed on the plastic bottle. While we’re not building pressure in the same way (there’d better not be any carbonation in your muscles), inflamed muscles and tendons put pressure on the relatively stiff connective tissue surrounding them. The pressure results in that horrible burning shin pain felt after a long run. In more severe cases, the fascia surrounding your tibia can actually be pulled away from the bone by overuse of the surrounding muscles – ouch! In the most severe cases, tiny fractures have actually occurred in the bone from the repetitive hard pounding you’ve subjected it to. 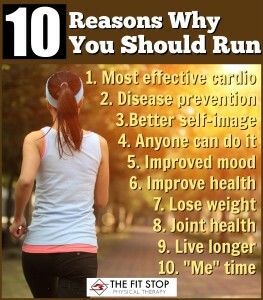 Scared of running yet? Don’t be… we just need slow things down a bit. All this doom and gloom about inflammation, and fascia being ripped from your bones sounds pretty gruesome! Despite the unpleasant visuals, the treatment for most forms of shin splits is usually really simple. First and foremost, REST! Overuse injuries mean you have literally over-used that area of your body. Got it? You’ve pushed too hard and it’s time to back off. Props for the herculean effort, but the simple yet oh-so-hard-to-follow advice is to dial it back and let your body do some healing. Does this mean you’ve got permission to park in front of your TV for the next month straight on a Netflix binge? NO WAY! Giving your body rest means backing off from your current activity level while still moving and eating right. Go for walks, a swim, bike ride or light jog providing it doesn’t increase your pain. Doing so will promote increased blood flow, helping your poor shins feel better faster while not setting your body’s overall condition back too much. Now as physical therapists we work with a lot of runners. We understand that oftentimes telling runners to rest is like telling the earth to stop spinning – it’s just not going to happen. Personally I don’t always recommend rest for my patients – but I ALWAYS recommend that we take a much closer look at your running. Oftentimes it’s not necessarily the miles you’re putting in, rather how you’re running during those miles. Oftentimes there’s something in your actual running mechanics that shifts stresses to bones, ligaments, and tendons which results in these overuse injuries. I highly recommend coming in for an analysis of your running to let us determine the mechanical cause of your pain so we can best treat the injury. Stair Heel Raises – Stand on a stair with your heels hanging off. Rise up on your toes and hold for 5 seconds, then slowly let your heels drop to below the stair with your knee straight and stretch your calf there for another 5 seconds. You can also bend your knee slightly while at the bottom to stretch another part of your calf. Do 2 sets of 10 to stretch and work your calf muscles, while also lengthening the muscles around your shin. It’s just that easy! Other culprits of shin splints may be a change in shoes or running style. Think back over the past few weeks to see if you’ve made a change to your normal routine. If so, make the effort to slowly work into the new pair of shoes, or change your running style incrementally. It may be that your shoes aren’t giving enough support under your arch. 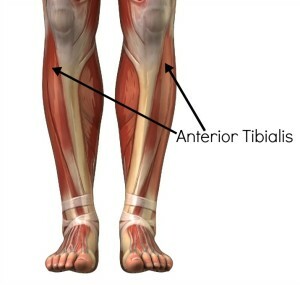 If your foot rolls in (pronates) too much during your stride, that will pull on the tendons that connect to those same shin muscles that burn like there’s no tomorrow. 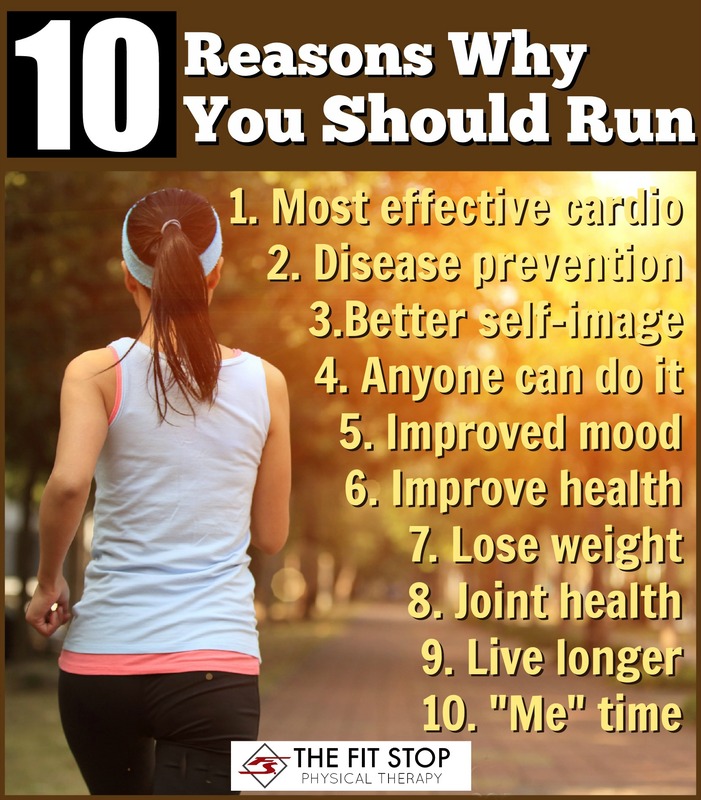 Again, our recommendation here would be for you to come in and let us do an analysis of your running to determine how to treat you the best. Once you are finally feeling pain free, start returning to full activity slowly and listen to your body. Just because your shin pain is gone doesn’t mean it won’t come back with a vengeance if you go hog wild right off the bat. Take the shin splints as a painful lesson in proper training volume: your body loves exercise, but too much too fast will result in injury. Here at Fit Stop Physical Therapy, we work all the time with runners getting back to peak condition after an injury. Come in to one of our convenient locations to talk to a specialist in therapeutic rehab to get you back on track faster and gain the tools you need to prevent future injury! CLICK HERE to be taken to our “Contact” page where you can set up an appointment for us to look at your shin splint pain at one of our three convenient physical therapy locations.